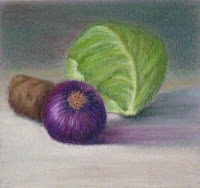 The cabbage, potato and turkey soup is finally done and making me feel all warm and fuzzy! Its a great recovery meal after a run. I ran 9 barefoot miles, very slow miles, on the treadmill this afternoon and then had to pack in a hurry for Jupiter's weekend at respite camp. When I got home from taking the kid to camp I was super hungry. Preparing and cooking the soup was quite satisfying. I also have a pot of red beans for chili and black beans for burrito filling bubbling away too. I should be able to add the other ingredients and finish them up in the morning. I feel rather unmotivated to run these days. I think the weather is taking its toll. Maybe its just hard to get moving again after a break while I was fighting off the yucky bug. I pushed through and ran anyways and want to try to do the same tomorrow. Nine miles seems to be just about right and I am still on track for my 1000 in 2010 goal. Trueblood is a fine distraction for the upper miles especially. Its getting weird and creepy! I have a question for you blogger folks out there. How do you enable email notifications or some kind of notifications when someone leaves a comment????? 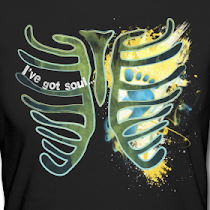 I have looked everywhere on here and can't seem to find it so I am left to believe that it is right in front of my long pointy nose and need someone else to tell me that my lost keys are in my hand where it is or if there is such and option. 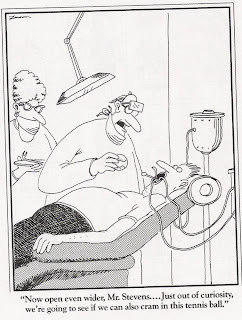 Did I mention that I braved the dentist this morning. I drove through the fresh and still falling snow to get there and when I arrived I realized that rolling out of bed and heading out the door to get there and not eating before I left was not the best idea. I imagined myself passing out as soon as she would stick my gums with the shots and low blood sugar on top of it.....not a good combo. It all worked out though since I didn't have to have any of the super painful and scary shots to numb my mouth. My awesome dentist was able to drill out a portion of my old filling with only a few zings of pain and then repair the hole in about 15 minutes total. When we dropped Jupiter off at camp tonight I decided to wear Archimedes in the Mei Tai baby carrier on my back. It has been too long since I have done that. I think it was in the fall walking around downtown with the fam that I wore him last. He wants to run around so much now! 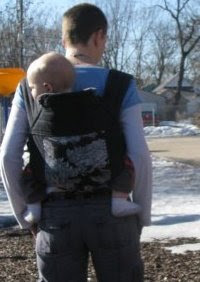 I love to carry him on my back and have loved wearing all of my babies. I used a Maya wrap when they are tiny brand new until about 3-4 months and then switch to the BabyHawk Mei Tai. They sure are nice when I have a rambunctious almost 4 year old running around and need to contain the littlest one while I focus on the task at hand. 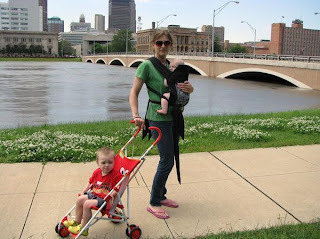 I did use the Maya wrap with Milo for much longer and found it comfortable to wear him on my hip. So I posted last time about the Nutritional Yeast and have been chatting with a friend about it as well. There is a difference between Nutritional Yeast and Brewers Yeast. It has been driving me nuts that the brand I have says it is both. According to this helpful site (Thanks Averie!) it says that both Nutritional yeast and Brewers yeast come from the same strain although NY is grown on molasses and BY is a byproduct of beer making. 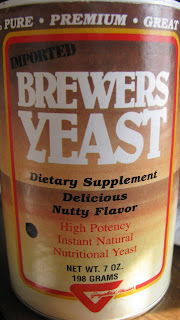 Brewers yeast will have a bitter flavor. I looooove Vegemite which is a byproduct of brewing so I know the flavor however the stuff I have pictured at the left says Imported Brewers Yeast and at the bottom it says Nutritional yeast. It has the mild nutty flavor with no bitterness and was grown on molasses. I think that this particular brand is using the terms loosely and are trying to confuse me on purpose! It was the only brand I could find online that was so unclear as to which category it should fall under. Regardless, I love this stuff and I think it should be a staple in most diets! Somebody go out there and buy some and see what you think haha! I found mine at Hy-Vee in the baking and spice section next to all the other yeast varieties and flours. 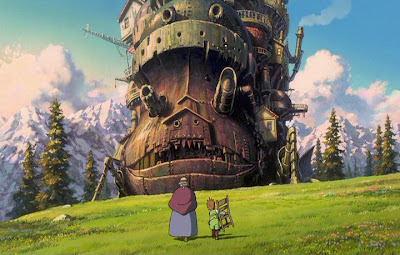 Howl's Moving Castle, one of my all time favorites, is almost over and it will be time for all of us to snuggle up for the night. Have a wonderful weekend and for those enduring the huge amounts of snow, stay safe and warm and here's dreaming of spring! From your Blogger Dashboard choose "Settings"
I thought maybe you would be the one to help me out there Jamoosh! You are always an early bird!! Thank you and it was indeed in a place I had looked numerous times! Good morning Julie! I think my mind has gotten used to the hour and a half or so of the treadmill and it doesn't seem so far anymore. I wish I could get it to wrap around going faster. I still subconsciously rebel against the treadmill though!! Have a great weekend! I loved carrying the kiddos in packs. I carried my middle one when she was 3 or 4 when we hike in Shennandaoh. I loved sharing the outdoor with the kiddos! Hey Angie! 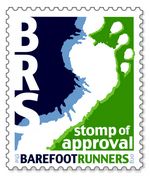 I'm new to barefoot running and have been catching up on your blog. I'm in Boston and I'm trying to find the best minimalist footwear for running outside in the cold. I saw you used Teva Protons in one of your posts. How do you like these? I've been running for about 3 months now and I'm up to about 3 miles barefoot at a time. Thanks for blogging! Girl i know, so many choices with the yeasts, and so confusing for us tired mommy's! Now I feel guilty... I'm trying to psych myself up to run a few measly miles in beautiful weather... no snow, no need for a treadmill. Glad I could help Merry! Have a great run and enjoy the weather! The soup sounds delicious! Can't help on the tech end; I'm a fool with it!